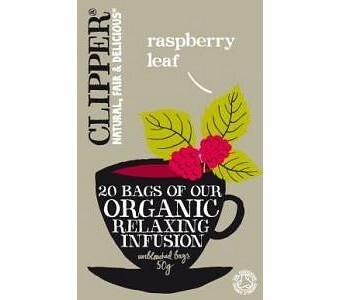 A refreshing, distinctive and delicious blend of raspberry leaf and other natural herbs enhanced with natural raspberry flavour. Free from Caffeine. Ingredients: *Raspberry leaf (50%), *Hibiscus, *Honeybush, *Rosehip, Natural raspberry flavour (5%). *Organically grown ingredient. Note: If pregnant, seek medical advice before drinking this product. Raspberry leaf should be avoided by those in the early stages of pregnancy.